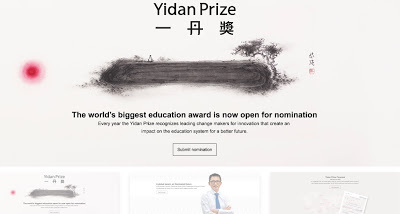 Will the Yidan Prize Affect the Evolution of Education? Most probably - not. Key words (a.k.a. tags): Charles Chen Yidan, Yidan Prize, Yidan Prize Foundation, Priscilla Chan, Mark Zuckerberg, Chan Zuckerberg Initiative, Steve Jobs, Laurene Powell Jobs, XQsuperschool, education, education reform, NSF, National Science Foundation, education funding, education research, teachers, teaching, STEM, STEM graduates, teacher professional development, professional development, MOOC, learning, laws of learning. I know this statement will upset you, but the Yidan Prize will not make an impact on the state and evolution of education in an individual country or in the world. This post provides logic behind this statement. However, there is a way to turn things around. I also present that way in this post. Will the Yidan Prize Affect the Evolution of Education? When Priscilla Chan and Mark Zuckerberg Initiative announced their goal “to eradicate all diseases” (https://chanzuckerberg.com/) I only hoped it would go better than the project of changing education in Newark (New Jersey). It did not go well: https://www.amazon.com/dp/B00AXS6BIE/ref=rdr_kindle_ext_tmb. However, it seems they have learned a lesson: http://www.wired.co.uk/article/jeremy-freeman-chan-zuckerberg-initiative-disease. The same approach must be used to eradicate all “the ignorance” in the world by reforming the way education currently is being reformed. This task however is even more difficult than “eradicating all diseases” (http://www.teachology.xyz/30uS.html). Like in medical and biological research, research in education is being conducted by many independent groups, with a very low level of sharing data – mainly, because there is no comparable data (http://www.teachology.xyz/FW.htm). Many of the activities are not even a research, but an attempt to advance some elements of social reality in the field of education. When the widow of late Steve Jobs, Ms. Laurene Powell Jobs announced her XQsuperschool initiative, I wrote her a letter, warning that there is a mismatch between the goal (reshaping ALL high schools in America) and the actions (reshaping 5 high school): http://www.teachology.xyz/xq.htm. There are 10 XQsuperschools now, but my premises in the letter still stand. I got a hope again when Mr. Charles Chen Yidan announced the establishment of the Yidan Prize Foundation (http://www.yidanprize.org/en/). This is the first philanthropist who seems understands the difference between a social project and a scientific research. The distinction is very important for advancing education (http://www.teachology.xyz/wwNSF.html), and I applaud Mr. Charles Chen Yidan. If I had a chance, I would tell Mr. Charles Chen Yidan the following. Part I: Initiating a discussion. I sincerely admire your intention to support education. I have been in education for almost twenty years, and it pains me to see who slowly it changes to the better. However, I need to inform you that most probably you will be spending your money with achieving much less than you would expect, at least at first. I believe that reading the following letter could help you to solidify your views on the functioning of the Foundation. But first, I want to inform you that very often my views on education – its state, the way to improve the whole system – are “perpendicular” to the mainstream views. To describe the current state of affairs in education we can use one word – chaos. Currently, educational publications rarely lead to more than a simple statement “more exercises => better student outcomes”. R&D projects are focused on local goals incoherent with each other. Of course, teachers and schools keep doing the best they can to give students the best education they can. They would appreciate any additional funds which would let them teach better. But simply giving extra money would not lead to a development of a science of education, would not advance a progress in new teaching technologies. The latest reports show that U.S. system does not help many students to be ready for getting college education, especially in science and engineering. “The number of U.S. citizens and permanent residents earning graduate degrees in science and engineering fell 5 percent in 2014 from its peak in 2008. At the same time, the number of students on temporary visas earning the same degrees soared by 35 percent”. 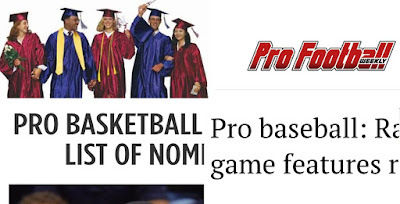 At this stage, any “innovations” at a college level are more like a game. The focus must be at the advancing pre-college education on a broad scale. However, at a K1 – K12 levels all “innovations” fall into two categories: (a) give teachers more workshops; (b) give students more toys (like tablets, Lego robots, etc.) – they do not represent a scientific research. Politicians, unions, professionals are stuck debating what is better “charter schools” or “regular school”. This debate is irrelevant to the real needs of educational reform. If you really want to make a difference, you need to go beyond orthodox views on what education is, and how science of education should be developed. For example, you could start from creating a completely new type of a school (a.k.a. a new type of a research facility in education). Part II: Widening the discussion. I have spent some time to study the materials related to the Yidan Prize. I truly admire the mission of the Foundation, which is to create a better world through education. I have watched the videos, I read all the information about the Yidan Prize. The video and the Forecast point at several important problems the world is facing right now, for example how many children are not having any formal education, or that education does not guarantee a job, or on youth unemployment, and STEM graduates. The Forecast shows the tendency of the future. But education also has a long history. We can imagine a long line which represents the trajectory of the evolution of world education. The Forecast indicates how this line will continue in the future. I assume, that when the Yidan Prize was established, the goal was to alternate the current trajectory, to “bend the line”, so to speak. The actual trajectory of the evolution of the world education should become different from the projected trajectory (without the establishing of the Yidan Prize) due to the fact of the influence of the Yidan Prize. But the Yidan Prize Foundation is not the only organization with a similar mission. For example, the U.S. Department of Education appropriates about 69 billion dollars per a year. About 500 million dollars from the budget are spent to support innovations in education. In addition to it, the National Science Foundation spends about 61 million dollars on research in the field of education. Largest US foundations and corporations put together about 500 million dollars to advance education (https://www2.ed.gov/news/pressreleases/2010/04/04292010a.html). Your foundation has an extraordinary team of experts. Those people have been helping to advance education for decades. I also have been in this business for about 20 years. I have seen innovations come and go without leaving a mark. 1. How would you make a difference; how would your actions influence the evolution of the world education; due to what mechanism the Foundation would change education? 2. How would you know it; how would you assess the effects of your actions; how would you measure the impact of the Foundation? 3. The study of the processes of individual learning. The first area does not involve a scientific research, it is mostly based on the projects of a social type (http://www.teachology.xyz/wwNSF.html). 1) “We want our students to do better. For that we plan on trying - this.” – this project mostly involves faculty or teachers who directly teach students. 2) “We want our school teachers to teach better. For that we plan on trying - this.” – this project mostly involves faculty from a university or a school of education helping teachers to teach better (usually via workshops, or other forms of communication). The second and the third areas represent the areas of a scientific research. For the second area, the main idea is that data must be collected from a vast number of sources (at least hundreds) – only then it will become the Big Data. For the third area, I would use an analogy. Among many new things America brought to the world is potato. There are more than 4000 types of potato. For each type, we know exactly how to grow it: what type of soil is good, when to plant, how often to water, what microelements to add, when the first leaf should start growing, what signs of a good or a bad growing process, etc. But when we teach, we only know in general how people learn. But we have no idea about specific stages needed to learn a specific skill of a specific subject depending on the economical, racial, geographical, background of a student, his or her age, gender. And so far, no one does this type of a research. Being different is simple - to paint your hair in pink. But, of course, this type of difference will not make any difference in the world around you. The true difference comes from thinking and acting differently, and from finding people who think and act differently and supporting those people. What I see is that the Yidan Prize is expected to be different from others by making a clear distinction between scientific projects in education (Education Research), and social projects in education (Education Development). I only want to warn you that sometimes it is not easy to recognize the type of a project based only on its textual description. Education is the most important human practice. If I had to think about how to change education as a whole practice, at first I would ask myself, what is the missions of education in general? Then I would apply this view to the actual practice of education and compared. The Yidan Prize is “to embrace outstanding achievements in education research and development”; but those achievements might belong to different social scales – individual, institutional, regional. It is advisable to keep in mind that in social practices (like education) an outstanding achievement on an individual level might have no effect on other levels. The systemic approach to funding education should include this question: “How to manage funds more efficiently”. The society does not really want to know how students get good education. The society just wants to have students with good education. That is why in principle, it does not matter where and how students have been taught. But we really have to establish a uniform procedure for assessing the quality of education. That will mean that we will be able separate the process of learning from the process of assessing the results of learning. The quality control should be decoupled from a teaching process. This approach will eventually lead to more effective distribution of funds in education. Every large research university has a long line of students who want to get education in those universities. That is why any internal research in such a university does not really make a broad impact, even if the university has structures which create many teaching tools. But an external outreach to schools, school district might make a big difference. Why do people select a massive open online course? Because they do not have another option (due to financial, time, geographical restrictions). Currently, there is no MOOC which would be as good as a good regular face-to-face course. Creating such a MOOC would be a true breakthrough (but even bigger achievement would be creating a system of MOOCs: http://www.teachology.xyz/chs.htm). The challenges education faces today have been facing education for decades. Education has “survived” many waves of innovations, so to speak. Big corporations and small startups develop a vast amount of various teaching tools. Teachers are flooded by innovative tools. It is like you buy a car, but instead of a car you get a kit, a collection of parts, and you need to assemble it, like a chair from IKEA. Creativity, communicative skills are important. But if people cannot read or count, creativity will be useless. The current discussion is framed as “creativity versus basic skills”. Instead we need to be able to teach basic skills and develop creativity. Teaching creativity is not about what to teach, but how: it is not about the content, but about the process. Good teaching leads to good results. Period. This statement is a law (http://www.cognisity.how/2016/12/handbook.html). 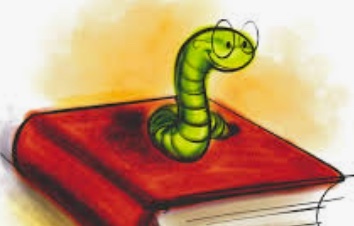 If there are no good results, the teaching was not good. Simple. The quality of teaching is based on the quality of teacher professional development; the low quality of teaching is the direct result of the low quality of teacher professional development. Teacher professional development often goes top-down, which is one of the least effective ways. Essentially, the quality of teacher preparation should be defined by teachers (http://www.cognisity.how/2016/10/facilitating.html). Yidan Prize will not make an impact on education on its own. The approach to advancing education in general and science of education in particular has to follow the approach developed in the oldest and the most successful science - physics. The field of education needs projects and institutions similar to the Large Hadron Collider - a collaboration of experimentalists and theorists and administrators and philosophers from many countries all over the world. It's not enough just to find and celebrate exceptional educators. The next step is building the network of such professionals. Who does it first will become the real game changer. Large scale changes require systemic approach. As an analog to the Large Hadron Collider or to the Institute for Advanced Study I would recommend to establish “Yidan Institute for Advancing the World Education”. This Institute would become a coordinating force for some of the teams nominated for the Prize, not received it, however, expressing a certain potential (according to the criteria). Yiadan Prize recipients would govern research areas in the Institute. The Institute would provide some financial, logistical, organizational support (a.k.a. incubator). Even though all the teams would work in different countries, via the Institution they would develop, use, and when necessary modify a common protocol for observations in education, collecting data, sharing the data, analyzing the data. A draft of the proposal for the Institute is available here: http://www.cognisity.how/2017/11/PILT.html.